Gary Mason has been killed after a crash accident. Former British heavyweight boxing champion Gary Mason has died in a road accident. Mason was riding his bike in Sandy Lane South, Wallington, London at 6.15am on Thursday morning (6th January) when a van is said to have collided with his bike. The 48-year-old was pronounced dead at the scene. The Metropolitan Police, who are yet to confirm the bike rider was Mason, said the van driver was arrested at the scene on suspicion of causing death by careless driving. The driver of the van was taken to south London police station and bailed pending further inquiries. A spokesman for the metropolitan police said: "Officers were alerted at about 6.15am yesterday to a van in collision with a bicycle on Sandy Lane South, near the junction with Woodcote Road, Wallington. "The cyclist, aged 48 years, was pronounced dead at the scene." A post-mortem will be held and an inquest will be opened at Croydon Coroner’s Court. Witnesses to the incident can call officers from the road death investigation unit at Hampton on 020 8941 9011. 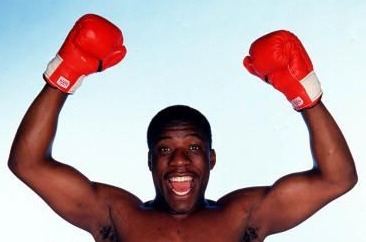 Mason, who fought in the same stable as former heavyweight champ Frank Bruno and Horace Notice, lost just once when defeated by future undisputed heavyweight champ Lennox Lewis. Mason, who ws plagued by eye problems, finished his career with a very respectable 37-1-0 (34) record.